Today I got my art book of Smaug: Unleashing the Dragon. The one thing with dragons is that they appear as mythical creatures. The book shows us how they created Smaug and how film, drawing, book and myth come together by computer animation. The fire breathing dragon Smaug looked very different at first then the one we meet in the film. The one we meet in the film is fierce and sound like thunder and isn’t the one you would like two meet in real life. If you see the first drawings of Smaug it has a snake head and it looked like Loch Ness. After a while it get the shapes of a real dragon. Especially when you see how they played with light. As king under the mountain Smaug is scary and loves to kill by fire breathing. He hates everyone who come into the mountain. The treasure is his and he earned it by killing. What I like about art books is the explanation on how they choose to make a creature like that and how they make the whole dragon work. It explains a lot why they choose to do it like that and how the result will be afterwards. As we know they took Benedict Cumberbatch to do the voice of Smaug. Some people say he did only the voice but that isn’t the real case. They took his face by motion capture and let them do the facial expressions of Smaug. The textures they made to create Smaug are wonderful and very detailed. Even if he breathe fire the texture changed. There is even an explanation if you could fight with fire against this dragon. It is a great book if you like to know how things get created this time Smaug. 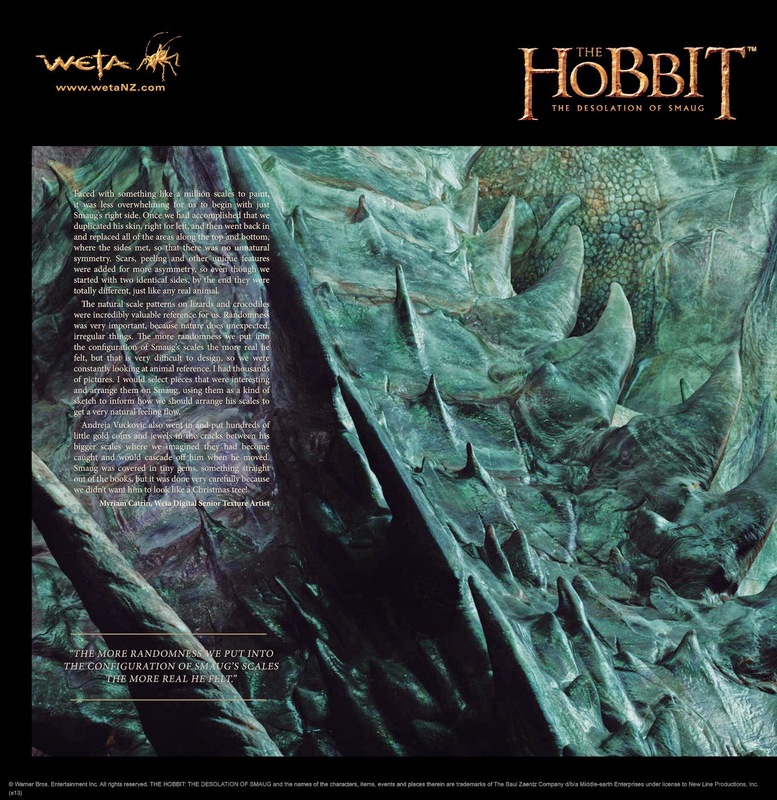 Weta Workshop announced a new art book about Cloaks and Daggers pre orders are available now.